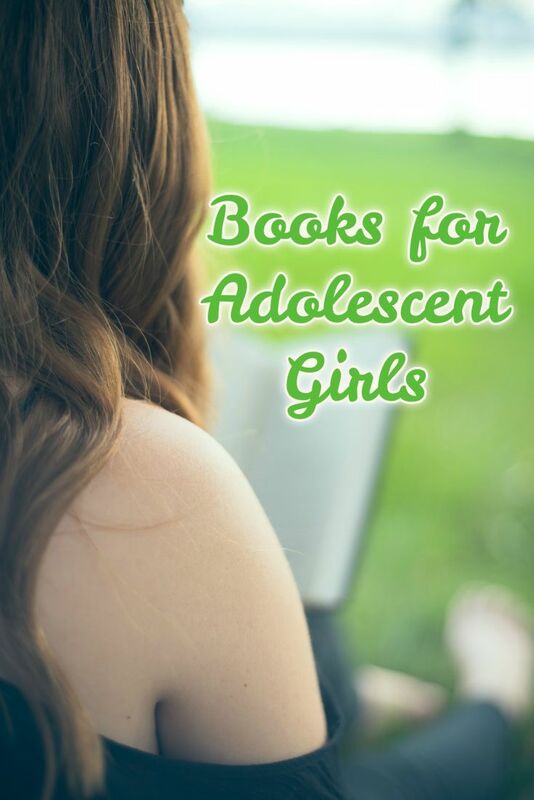 These Christian books can lead to great discussions between adolescent girls and their mothers. 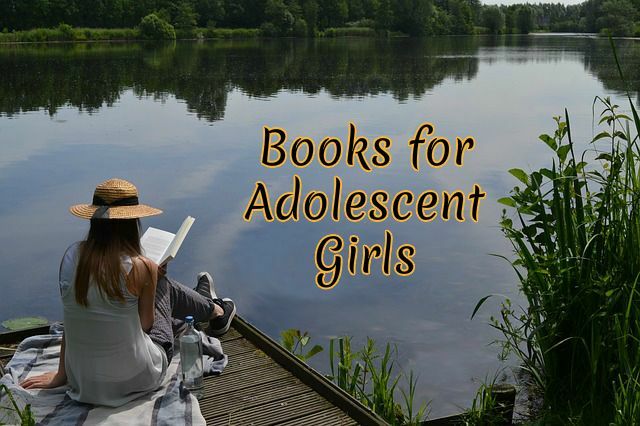 The themes are rarely presented as well in the other books for adolescent girls I’ve read. The heroines develop deeper Christian character as they deal with social issues, peer pressure, faith, obedience, and friends. A Room of My Own by Ann Tatlock. A Room of my Own is set during the Depression, and Virginia, the daughter of a prominent physician, does not feel the Depression personally at first. Her family is well-off, and physicians are never laid off. But suddenly, her Uncle Jim loses his job at the grain mill, and Virginia must give up her room and share a bed with her younger sisters so that Uncle Jim, Aunt Sally, and their children can live with them — in HER room. This makes the Depression more personal, and it becomes even more alarming when Uncle Jim becomes involved in organizing a labor union for the mill workers (which finally results in a violent strike). Virginia’s father begins to take her along on his calls to “Soo City” — a shantytown populated by the newly homeless along with the older hobo residents. The climax occurs when Virginia must choose between saving her father from sure danger and warning the residents of “Soo City” that the sheriff is going to burn their homes. I suggest this book because it introduces many important themes. One is how blind we can be to the needs of others, blaming them for their needs, when we ourselves are not hurting. This can be especially evident in adolescent lives. the effects of the Great Depression. Though the central character of this book is a girl, there is much here for boys, as well. There are plenty of male characters for them to identify with, including the good doctor himself. Because there is violence in the book, parents should only give it to children of at least adolescent age who can handle mature themes. It would make a wonderful read-aloud for families with adolescent girls. Janet Oke is best known for her western romances and a series of children’s animal stories that focus on character qualities. 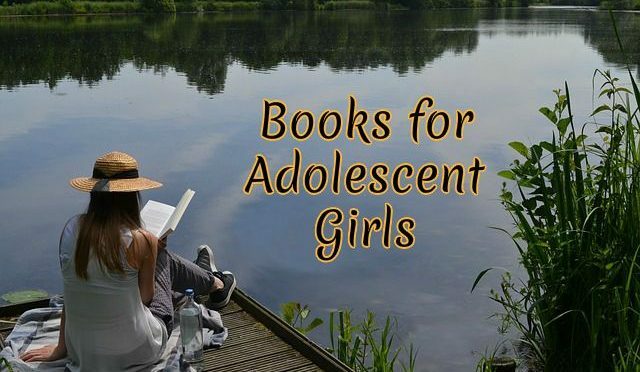 The books I recommend for teen girls go way beyond her usual romantic themes. The first is The Tender Years. Strangely enough, the protagonist of this book is also named Virgina. She has a persistent problem with peer pressure. The exciting Jenny, who leads the “in” group at Virginia’s school, has picked Virginia as her special friend. Virginia doesn’t want to lose that favored position even though Jenny’s schemes often get her in trouble with her parents. Virginia’s supportive but firm Christian family provides appropriate consequences when she breaks the rules, so Virginia tries to obey. She succeeds for a time, but one day the pressure is too great. She lets herself be talked into a very risky situation — a ride in a “borrowed” raft with the gang. Virginia’s father had warned her that the creek was high and very dangerous. Virginia knew if she wanted to stay Jenny’s best friend she’d better show up for the raft ride. So, instead of going directly home from school as she was told, with heavy heart Virginia went to the creek. As the gang waited for Jenny, their ringleader, to arrive, Virginia became more and more concerned about the time. When Jenny finally arrived, Virginia got into an argument with her, stood her ground, and left. Later, when Virginia hears that the raft overturned in the swift current, she is consumed with guilt — especially when one of her friends dies as a result and Jenny is badly injured. The rest of the book deals with the healing process — not only for Virginia but for her friend Jenny. Virginia’s parents want her to reach out to Jenny with the love of Christ since Jenny has no home life. She has no mother at home and her father is an alcoholic. There are many subplots that add interest to this book, and I found it difficult to put it down. The main themes are obedience and peer pressure and the conflicts between the two in the mind of an adolescent. This book would be good to read with preteen girls and up, for there is much to discuss. The Tender Years is the first of four books in the Prairie Legacy Series. I’ve read all four because I became very interested in Virginia’s life. I think you won’t want to stop after you read the first book either, so you might want to get them all at once. There are links to the individual books if you click the image above. Return to Harmony is another of my favorite Janette Oke books (with T. David Bunn). It is the story of the friendship between Bethan and Jodie, two Christian girls, as they grow into young women. The book begins in Harmony, North Carolina in 1915. Harmony is a very small town. The population was under 350 back then. It was and still is primarily a community of small farms. Bethan was very content to live there. Jodie was hoping to leave someday. Bethan and Jodie became friends the day Bethan had found a puppy and was sobbing because her mother said she couldn’t keep it. Then the school bully, Kirsten, tried to torment the puppy and Bethan, her favorite victim. Jodie sprang to Bethan’s defense, and from then on the girls were fast friends. Jodie knew just the person who really needed a puppy and led Bethan to Mr. Russel, a Civil War veteran who lived alone. He said the girls could visit the puppy anytime, and they often did. Jodie was protective of her smaller friend, who was often picked on at school because she had a lazy eye. She knew Bethan hated having to wear her dreaded eye patch — especially at school. On the days she had to wear it, she also had to carry a spare. When Jodie saw how unhappy Bethan was on the day of the school spelling bee, Jodie wore the spare patch during the spelling bee, which she won, to show her solidarity with Bethan. Jodie and Bethan were very different. Jodie was academically gifted and loved school. Bethan’s eye problem made reading hard for her and she didn’t do well in school at all. Just before the spelling bee Jodie had overheard her teacher and Bethan’s talking in the hallway. Bethan’s teacher was afraid she’d have to hold Bethan back at the end of the year. Jodie interceded for her friend and said she would tutor her, and her teacher agreed to try that. Tragically, Jodie’s mother Louise catches polio not too long after that. Bethan stayed by her side during the period when Jodie was not allowed in to see her mother. Day after day the two girls sat together in silence at Jodie’s, gazing through her mother’s window in the afternoons, watching her struggle to breathe. On the ninth day, Louise expresses her love to Jodie and her father and dies. After that, Jodie tells Bethan God let her down when He took her mother and she stops praying and won’t let Bethan talk to her about faith anymore. Her grieving is long and hard, but Bethan is with her through it. Bethan never stops praying for Jodie. By this time Jodie’s father, who was always quiet except with Louise, has retreated into his own world and hardly ever says a word to Jodie. Were it not for Bethan and her family, Jodie would be completely alone. Neither had any other real friends. As it became apparent that war would soon break out in Europe, Bethan’s family became concerned that Bethan’s brother Dylan would soon reach the age of conscription. The girls were also growing up. They were now sixteen. Though Bethan loved living in Harmony and desired nothing more than to find a loving husband and spend her life there, Jodie wanted to go to college and become a scientist. She also wanted to be a city girl. Dylan is finally drafted, but the war is almost over, so he really doesn’t see the fighting. Instead, he repairs engines and decides he wants a career in the new automotive industry. It’s not long before he’s home again. At his welcome home party, he notices that Jodie is now a young lady, no longer just a kid. The two fall in love and get engaged. It is apparent to Bethan and her mother, though, that Jodie has abandoned her Christian faith. Dylan is still a committed Christian. At the request of her mother, Bethan talks to her brother about their concerns. Dylan, who was trying not to face this issue, finally admits he has also seen this. He breaks the engagement and broken-hearted Jodie won’t forgive Bethan. Instead, she walks out of her life saying she never wants to see Bethan again. Jodie takes the train to Raleigh to study chemistry at the university on a scholarship. Bethan is devastated by the separation. Jodie also feels completely alone since she is the only girl studying chemistry and she is ostracized by her male classmates. Fortunately, the story doesn’t end there. This book can be a catalyst for discussion on complicated issues. These include the meaning and responsibilities of Christian friendship, why God lets bad things happen to good people, how to help a grieving person, and the importance of being equally yoked in a marriage. I’d like to see this book in the hands of all Christian adolescent girls. Join Amazon Kindle Unlimited 30-Day Free Trial and you will be able to read some of these books and many others for free.